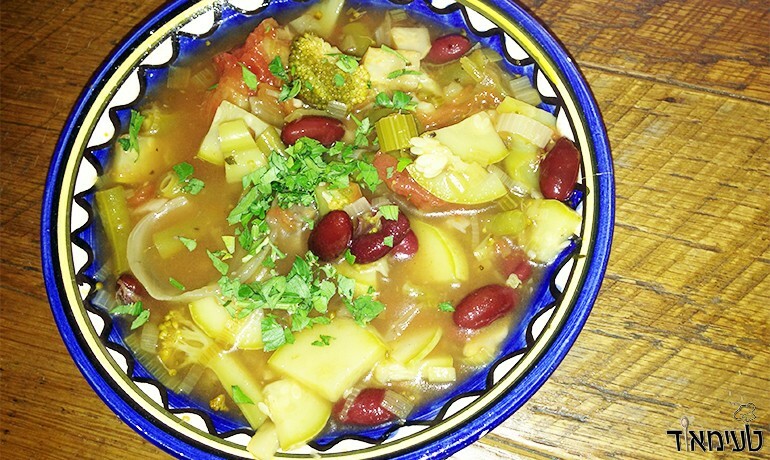 Minestrone is rich Italian soup with vegetables, beans and pasta which tastes great. 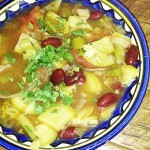 Minestrone soup is tasty, satisfying and very healthy. So, here is a recipe for huge pot of minestrone soup - the kids will love it and you'll have enough for the next few days! You should plan your preparation well in advance because the preparation and ingredients list is challenging - but rewarding! If the vegetable is missing from the list, or someone in the family does not like it, you can cut it out or switch it with something else, this soup comes out perfectly tasty in every way! Blanch the tomatoes (if using fresh tomatoes) with boiling water - peel them and chop them up. If using canned tomatoes - only chop. Recommended to serve with a bit of Parmesan.